Ultimately, everything you do online should be a way to encourage user interaction or drive people to your own website. 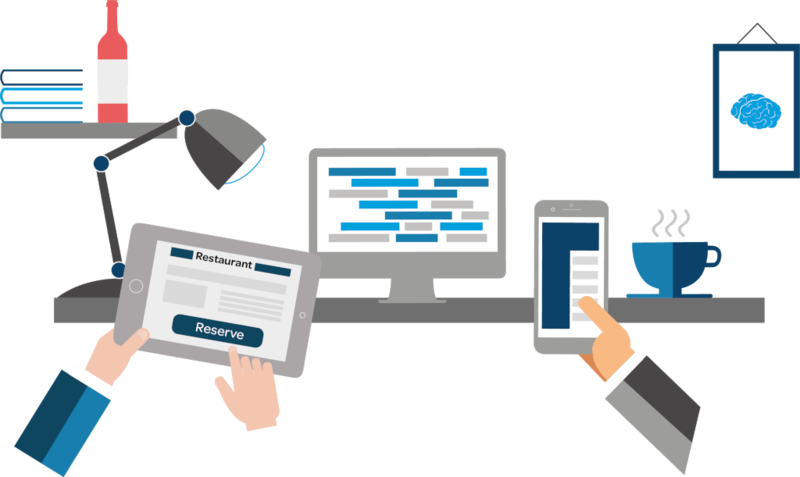 A website is the biggest marketing asset your restaurant has, so follow these steps and use Facebook to increase restaurant bookings and drive traffic to it. The easiest way to do this? Post lots of regular links to events, special promotions, menus and booking pages that will persuade the customer to interact with you or visit your site. We’ve briefly covered this above, but for a restaurant’s page, a book button is essential. Some restaurants report that the majority of their bookings come from Facebook, so you want to make the process as easy as possible. Direct your call-to-action to a booking widget or website, creating a seamless booking experience for the customer. Always keep in mind what you want to achieve when writing a post. If you’re posting a beautiful food image, delete the URL from the body of the post to make it look cleaner on the page. Facebook gives you the option to control how your link displays. You can edit the link title, description and image to encourage clicks. Write a post and embed it to Facebook. Deleting the url from the body of the post and then editing how the link displays. Edit the link title, description and image to encourage clicks. They say the best things in life are free and that’s why competitions do so well on social media. Competitions are a great way to reward social media fans, grow your fan base, bring in more customers, and promote loyalty. Give customers a chance to win a great prize and you’ll give them a reason to come back again. Boosted posts often appear higher on news feeds, maximising the chances of your content being seen. These are specifically promoted to certain audiences like local people interested in certain types of cuisine. If you are boosting a post with an image, use an image that contains little or no text to increase the size of your reach. The ideal time to post, is when your audience is online and most likely to see and engage with your content. The more you post and see results, the more you will learn which times work best for your business. As a general rule of thumb – mid mornings and mid-late evening work well i.e when people are on a coffee break or on their commute! Pinning content to the top of your Facebook page is a great way to direct people to what you want them to see first. Have you received an award recently? Are you running a competition or a special menu? Pinning this content to the top of the page is sure to get it seen. Social media is the new word of mouth. When you see a friend checking in somewhere, you’ll often take that as a recommendation. Encourage check ins by offering guests something like a free drink or side in return. Are you introducing a new dish to the menu? Why not ask customers if they like it or get their general feedback? Facebook has a poll feature that works perfectly for this. We’re living in a review-laden generation, with product enthusiasts and diners everywhere. Whatever your “view” on reviews, we can agree that they’re firmly embedded on most major websites. Evidence shows people are greatly influenced by them. Make sure you’re acknowledging both good and bad comments as well as answering questions when you can. This helps create a personal relationship with your customers and diffuses any negative situations. Introduce a newsletter to your Facebook site. Trendy Bombay cafe Chaakoo is ticking all the right boxes with their newsletter on their company Facebook page. Embedding this into your Facebook page can be a slightly complex task but most email providers have a ready-made widget for you to embed. After landing on your Facebook page, people will want to consume various types of content. Make it simple for customers to view more of your content by giving them the option to look at other channels. This will help increase your interaction across the board, and the chances of them clicking on content leading back to your website. As a ResDiary customer, you get a commission-free booking link to embed in your Facebook call-to-action. This link can also be embedded in your Facebook posts to encourage reservations. We’re happy to share your content on our Facebook page. If you have an exciting event or promotion coming up – let us know! Help with creating Facebook adverts, featuring your restaurant.